The second term ambition of Mr Yahaya Bello has met brick walls with President Muhammadu Buhari, sources in the know have squealed to SecretReporters. 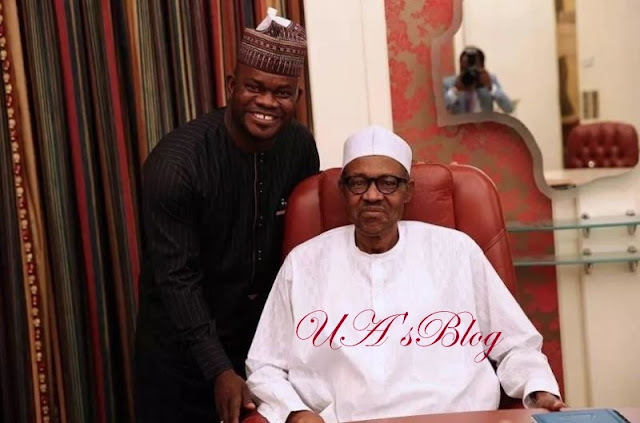 According to our sources, the President has given a marching order for Bello to start supporting another candidate of the same senatorial district from the All Progressive Congress (APC) as the party cannot afford a loss to the opposition party, thereby swelling their political ranks like the last election turned out. This we gathered is based on intelligence report available to the President that the governor will lose his re-election bid if the APC fields him. We gathered that Buhari told the governor to pick up the ministerial position slot of the state. It’s not clear to us if Yahaya Bello will accede to the President’s request or will go ahead to contest the gubernatorial election.